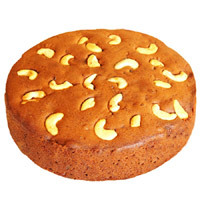 Round Plum Cake - 500 gms This yummy plum cake is an round shaped source of joy and pleasure. 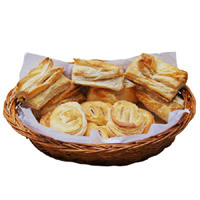 Veg And Egg Puffs - 8 Pcs Spicy and Fresh Veg puffs with the combination of Eggciting Egg puffs . 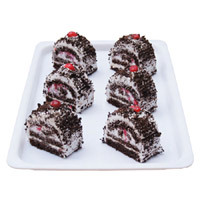 Blackforest Pastries - 6 Pcs Delicious yummy moist creams are encompassed in 6 fresh Black Forest Pastries..
1kg Special Kaju Mixture Indian savories are always loved and cherished. 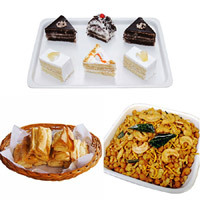 Whether it is a get together or a festive occasion. 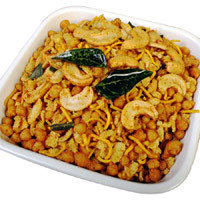 Veg Puffs Hot and spicy Six curry puffs 6 Mixed Pastries cold pastries 1/2kg Special Kaju Mixture .